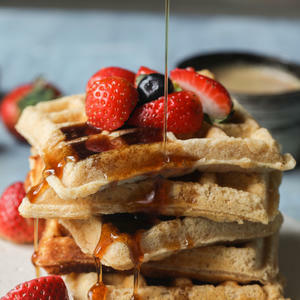 These Basic Eggless Waffles are easy to make, with simple ingredients you likely have on hand! They're perfectly crispy on the outside and fluffy on the inside. They taste like the real thing!